Jonas Smith, the territory’s Conservative Party candidate for the 2019 federal election, has a campaign manager. Linda Benoit will fill the role, Smith said Wednesday. Benoit, 37 and born and raised in Faro, has lived in Whitehorse for most of her adult life. She is currently the office manager for Kluane Drilling Ltd and was previously the director of Property Management for Northern Vision Development LP. An active community member, Benoit serves on multiple volunteer boards. Those include Yukon Women in Trades and Technology, the Youth of Today Society and the Royal Canadian Legion Branch 254, Ladies Auxiliary. 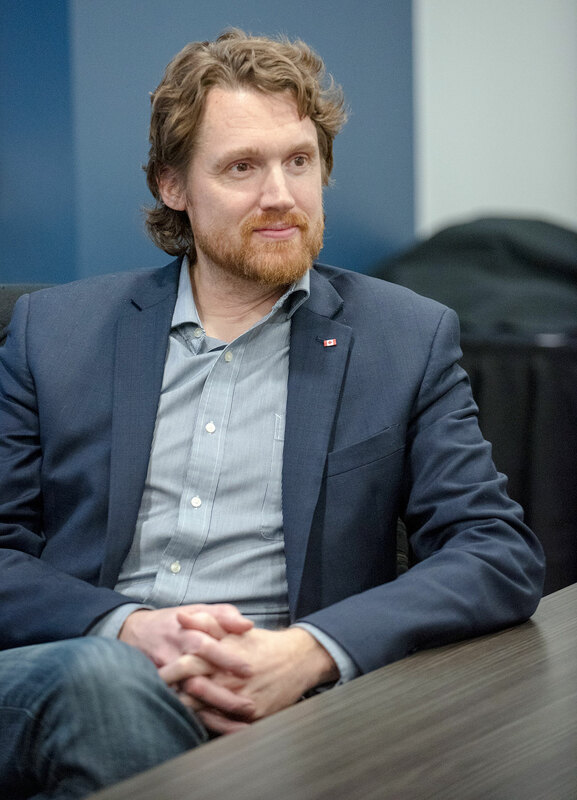 Benoit and Smith worked together on the Yukon Party executive dating back to 2010, including on the successful 2011 territorial campaign and then in former premier Darrell Pasloski’s office. “I could not be more delighted to have Linda providing leadership for our campaign team as we ready ourselves for the next federal election,” said Smith. “I am honoured and excited to work with Jonas and the team to help ensure a Conservative Party of Canada victory for the Yukon,” said Benoit. Incumbent Liberal MP Larry Bagnell has said he’ll likely run again, but hasn’t made a definitive announcement. No one has publicly emerged as a potential NDP or Green Party candidate. The 43rd Canadian federal election is scheduled to take place on or before Oct. 21, 2019. Though date is determined by the fixed-date procedures in the Canada Elections Act, the Governor General of Canada may issue the writs of election at an earlier date. Earlier this year, Prime Minister Justin Trudeau firmly ruled out a spring 2019 election. Does this guy have an actual Job? @ Yukoner - So you’re saying that he has experience managing Capital projects? Is that not a good thing? Help Us Obi Max Bernobi ! You're our only hope ! @EJ: It means government small enough to fit right up in your private affairs. You know - someone who has actually DONE something. Why didn't you run, Linda ? A female Conservative candidate in The Yukon is long overdue. This is what's he's done, but where is the experience that would qualify him to be our MP? This reads as another Ryan Leef. All his government experience has been politically driven rather than service driven. I don't care what their political stripes are, just give me someone who has: government experience (no, being an EA doesn't count), a proven track record of working for all Yukoners, has a diverse background, and is not a one trick pony. It's a tall order, but being our MP is not an entry level position. @ You - This years Yukon bonus is a politician the caliber of Jonas. Looking forward to less confusing times? Hope renewed, sanity construed, Jonas has the winner’s attitude! Go Yukon, go Yukon, it’s your birthday, it’s your birthday, go Yukon! Surprise, Surprise! Another member of the Pasloski/Lang political complex. Too late though, had she run, Linda would have had a better chance at getting elected than Jonas ever will. Most Yukoners are very smart about analyzing national and local politics and who our one MP might be. We don't need this wall of blather months before an election is even called. How pathetic does one have to be to start begging for a job 11 months before it might become available ? First of all, how is this news? lol. Second of all, Jonas needs to explain what he means by being a 'social conservative' before he has a chance of getting my vote. Because that is a big red flag for most sensible non-religious folks. PSG is correct. Too much, way too soon. The only people who might vote for this guy would have voted for anyone running on the CPC ticket anyway. All he's doing at this point is driving potential voters away. Enough is enough. Go and actually do something in the community worth reporting on and stop making these 'announcements'. It's turning people off. Remember when Jonas was too young/old to join the military? Why on earth is this news? For one, the staff should never be the news in politics. For two, who gives a care. Will they make a public announcement of his volunteer doorknockers too? Silliness, why would the Star publish such a thing. Which self- interest group is providing the Hipster version of Darrly Pasloski the money for this ? I bet most of us aren't going to like the answer ! “Jonas has proven himself to be bright, diligent and dedicated"
Smith ran the recent disastrous Darryl Pasloski reelection campaign. Prior to that he was a high level toady during Pasloski's self-serving, petulant years as Premier. Right leaning Yukon voters deserve better candidates than this guy. Hopefully the Maxime Bernier Party will produce one - it won't be too difficult to do. Good to see the Alberta Vision, er, I mean Northern Vision connection is covered. Heck, Northern Vision should just start their own political party here. Ok, let's see the list that proves this claim. Dear Jonas, please wait until an election is called to bombard us with online campaigning like you're doing. It's becoming a turn off to voting for you.